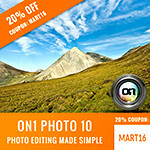 (UPDATED) Topaz Adjust - Click here and use the coupon code CYBERTOPAZ (or RONMART it it doesn’t work) to save up to 30% off. Coupon code RONMART works for 15% off all other products. 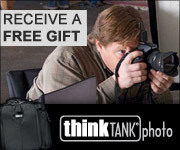 Think Tank Photo - Offering up to 11 camera pouches and memory card holders worth almost $300 that you can have added for free to your purchases. Every time you place an order with Think Tank, when you check out you will be asked which one of the items listed below you wish you receive for free. There is no limit on the number of orders you can place. You receive free gear with every order. CLICK HERE to qualify! Canon – Double Instant Rebates (Expires 11/26) at B&H – click here for more details. Canon G12 only 379.95! Best Deals on the Web for Eizo products when you put RONMARTBLOG in the comments portion of the shopping cart (you’ll get the guaranteed lowest price charged to your card – you can call them and mention my blog as well). Click here and go to the ORDERING section to see more details. Amazon Black Friday Deals – Countless deals start here! Adorama – 619 items the last I checked! Click here for more details! Kelly Moore – $15 off when you click THIS LINK and then enter the code RONMART when you check out. NOTE: This code WILL FAIL if you have any extra characters like spaces after, so please be careful when typing. 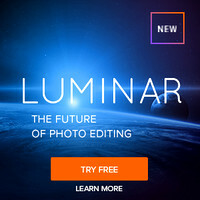 The Perfect Picture School of Photography (PPSOP) – Save 10% (keyword RONMARTBLOG) to learn with Bryan Peterson and his colleagues online at a discount rate! Xbox 360 Holiday Bundle (Fable III & Halo Reach) - $199 – Included because I’m an Xbox fan and I bought one of these myself! See my discount coupon code page for more special offers (several of which are exclusive to this blog). Also visit my “Stuff on Sale” tab at the top right of the blue bar on this blog for more special offer as I learn about them. I may get a commission if you use these links. Thank you so much for supporting this blog by using my links – you save, and I make a little pocket change. All deals are subject to change or expire without notice. I provide the links but I have no control over the actual content of the pages behind the links so price or availability may change!